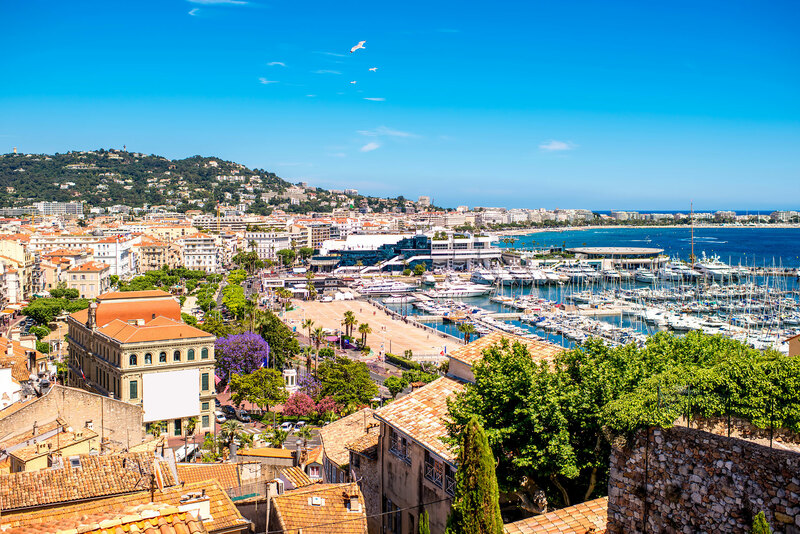 Hotel Cristal**** is ideally located in the Gold Corner of Cannes, between Rue d’Antibes and the Croisette at only 10 minutes walking distance from the Palais des Festivals – Congress Center. Ranked 4 stars, Hotel Cristal**** has been entirely renovated between 2015 and 2016. The rooms and bathrooms have been modernized, and an indoor garden was created to offer you a sunny breakfast. 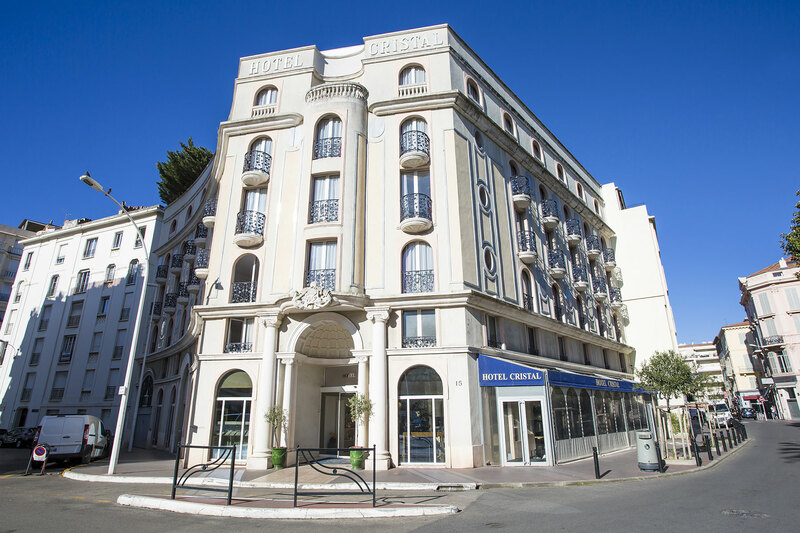 The hotel offers 53 air-conditioned rooms with free wifi, from 20m² to 35m², divided into 4 categories – classic, superior, privilege and junior suite. 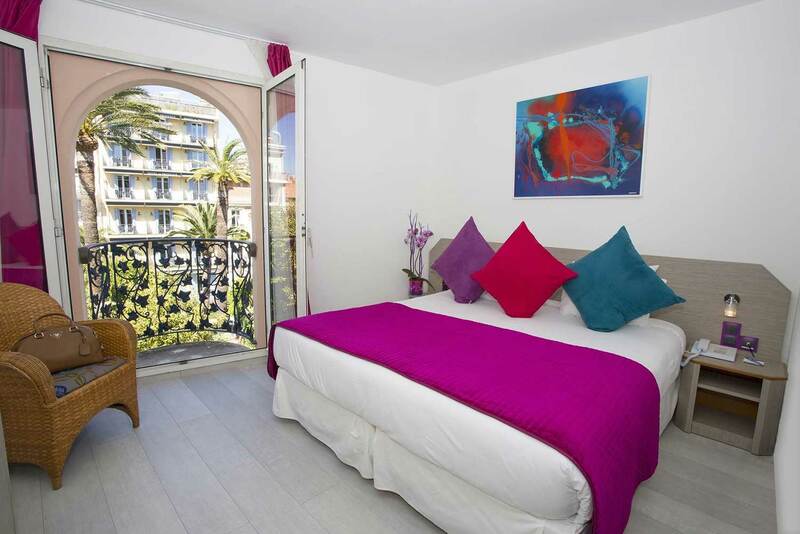 The rooms have a contemporary design, with wooden floors and soft and bright colors for a relaxing atmosphere. The property offers a quality buffet breakfast and a rooftop terrace where there is a pleasant hot tub, solarium and gym. Hotel Cristal**** is the ideal choice for travelers searching a quality central establishment, with human size and intimate environment.